Barclays will force through the cuts with compulsory redundancies, a move the union said was “deeply irresponsible”. The bank announced yesterday that 288 people had been told their jobs will go because of “changes in the business” and another 115 informed that they will be redeployed. Barclays also said its current premises in Millshaw has been put up for sale by the owner. Around 1,100 staff work at the bank’s Millshaw site, which handles lending, mortgages and complaints. The 280 job losses will affect staff in technology and business change and customer relations, while the remaining 800 employees will remain at the site until it shuts in November 2021. A Barclays’ spokesperson said, “Due to changes in our business, we have informed 280 colleagues based at Millshaw Court that their roles are at risk, with around 115 of those roles relocating to Manchester, Liverpool and Sunderland. 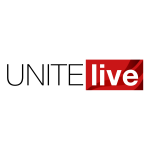 Unite said it was “angry” at the redundancies, saying they are “devastating” for employees and will “significantly damage both the business and the customer experience”. Unite regional officer Christian Ratcliffe said, “Unite has opposed these compulsory redundancies every step of the way and continues to call for the bank to reconsider.